Chris Brown is getting in the holiday spirit, with the season inspiring him to give back. The R&B singer decided to drop by Columbia Middle School in Georgia on Friday (Dec. 15), making a surprise appearance paired with a generous donation. As reported, Breezy donated $50,000 to the school to help fund the school's teacher of the month program. During the special moment, which was caught on camera, V103's DJ Greg Street presented a check for $503 to a gracious middle school teacher from the school. Moments after, Brown swooped in to reveal the true donated amount was $50K, making the gesture that much more impactful and heartwarming. Naturally, Ms. Reed, the teacher who received the donation on behalf of her school, was tearful and overwhelmed with emotion following Breezy's charitable gesture, as students cheered on in support from a gymnasium. 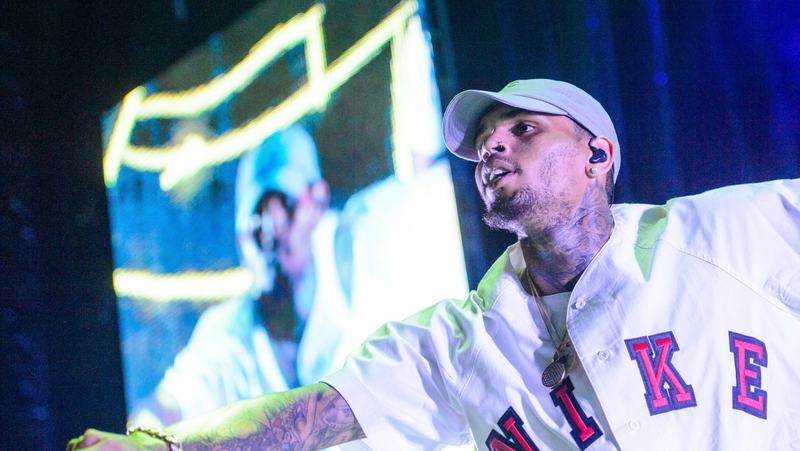 Most recently, Brown released a deluxe edition of his latest album, Heartbreak on a Full Moon, bringing the project up to 57 tracks, as well as took a moment to celebrate the success 2017 has brought him. Take a look at Chris Brown's epic surprise and donation in the clip below.